An advisor will call you back free of charge to answer your questions and will assist you as you get familiar with the module. 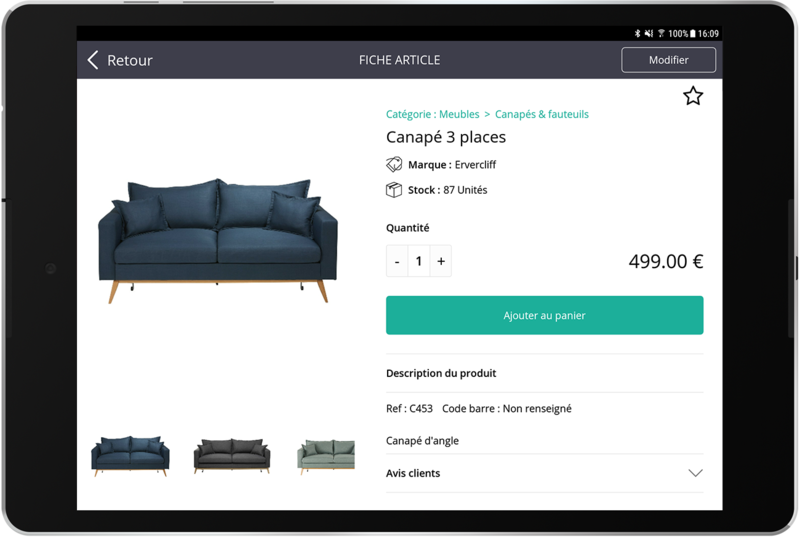 Via the directory, identify your customer to associate him/her with a purchase, add an item to his basket and process your customer’s payment with a few clicks. 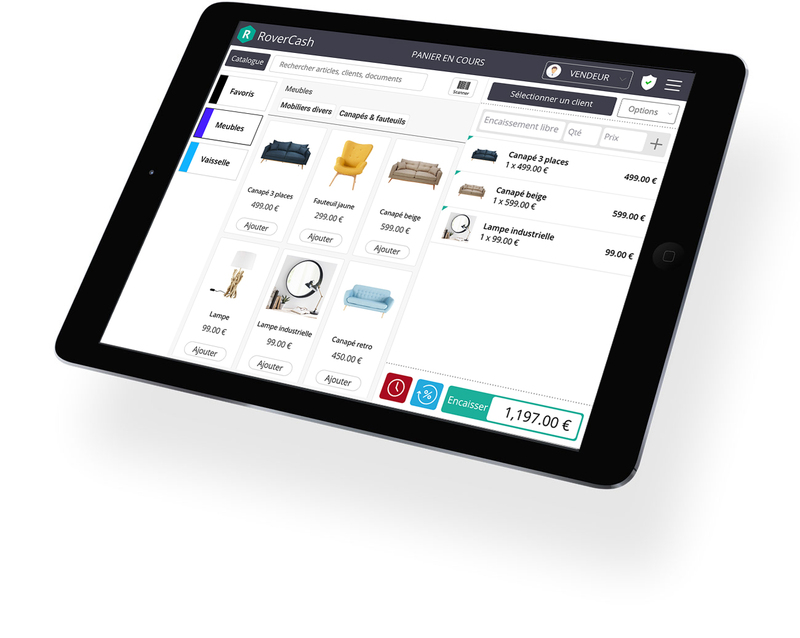 Benefit from complete product sheets (pictures, references, barcode), add item variations and manage your stock in real time. Create a custom-made loyalty programme and offer benefits to your customers to encourage them to come back to your business. Access to your activity’s key figures (turnover, margins, number of tickets issued, medium basket) and follow their evolution so you can take the right decisions. 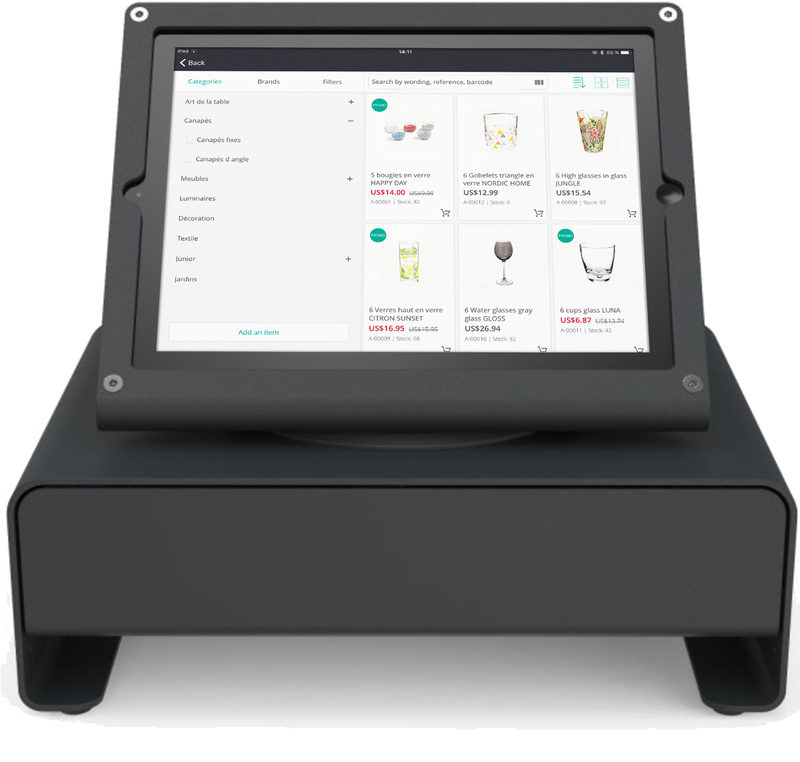 More than a payment solution, RoverCash replaces your traditional till, turning your tablet or your mobile phone into a genuine management tool. 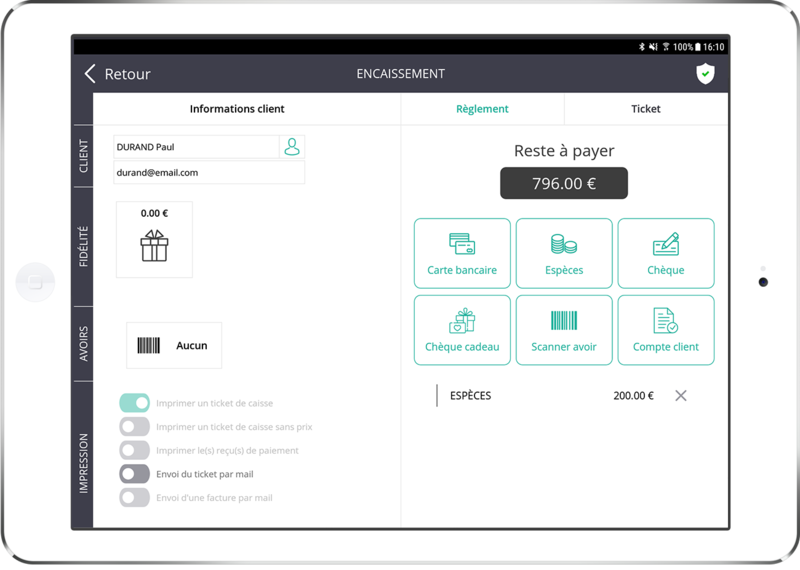 Behind your counter, in the aisles, on a business trip, collect customer payments with just a flew clicks. Connected to the latest generation of EPTs, RoverCash will secure all your transactions. What can RoverCash do for you ? 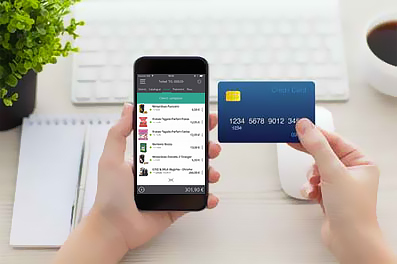 RoverCash helps you create customer loyalty and centralises your sales. RoverCash enables you to keep an eye on the evolution of your turnover, in the form of comprehensive statistics. 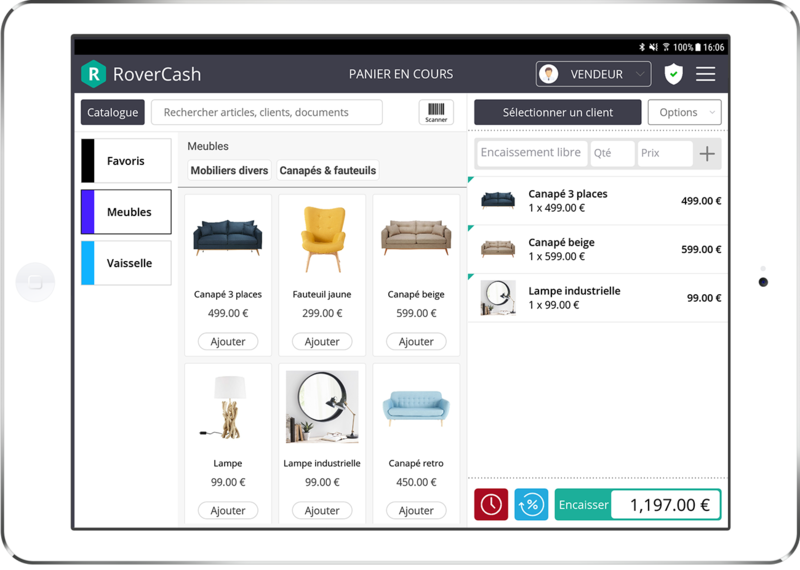 Go even further with the Plus version of RoverCash by directly generating your estimates and customer orders. RoverCash knows how to make itself essential from day-to-day. 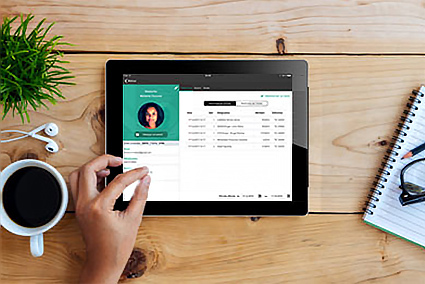 Although designed as a genuine till for tablets able to function on its own even offline, RoverCash expresses its full power when it is linked to an ERP. 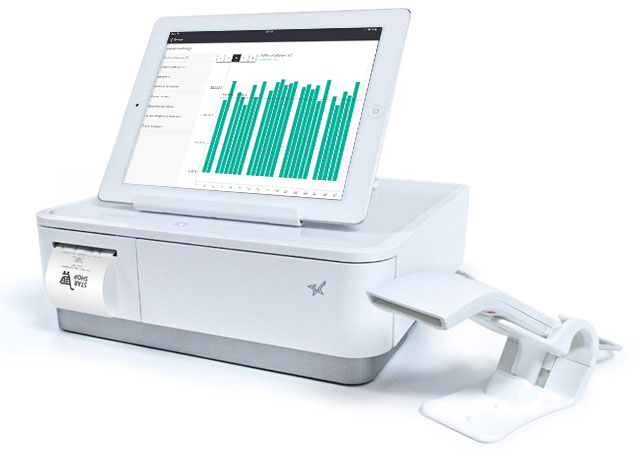 Because a connected business should be equipped with the latest technologies, the POS RoverCash is the ideal tool for salespeople giving them performance, flexibility and scalability. Your RoverCash till allows you to input your sales easily and quickly thanks to intuitive navigation and handling simplicity. Your RoverCash till enables you to create customer loyalty thanks to a loyalty programme that’s effective and easy to put in place. 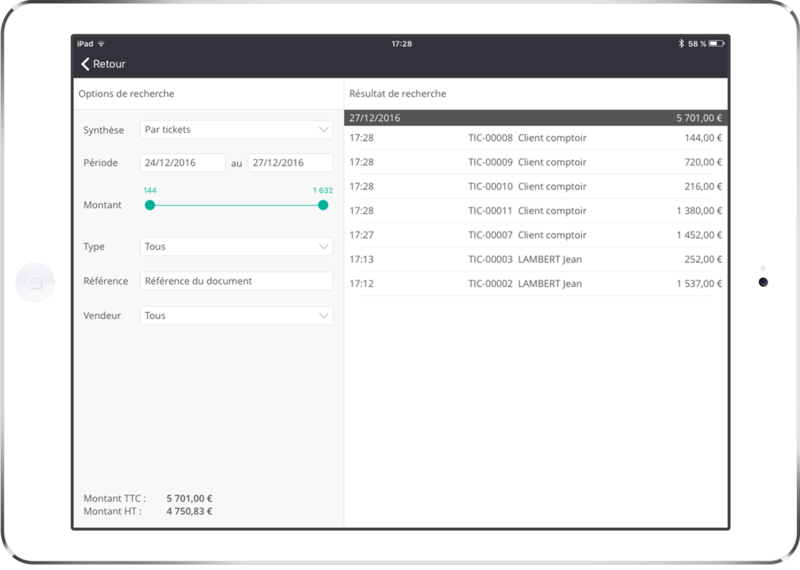 With RoverCash you can print receipts and give them to customers, but also send them by e-mail directly from the application. Thanks to your RoverCash software, you can keep an eye on the evolution of your stock in real time and establish management rules that will make daily routines easier. With RoverCash, close your till on a daily basis and access your till history to check the state of your accounting in real time. RoverCash enables you to analyse your results thanks to detailed statistics of your day-to-day activity. 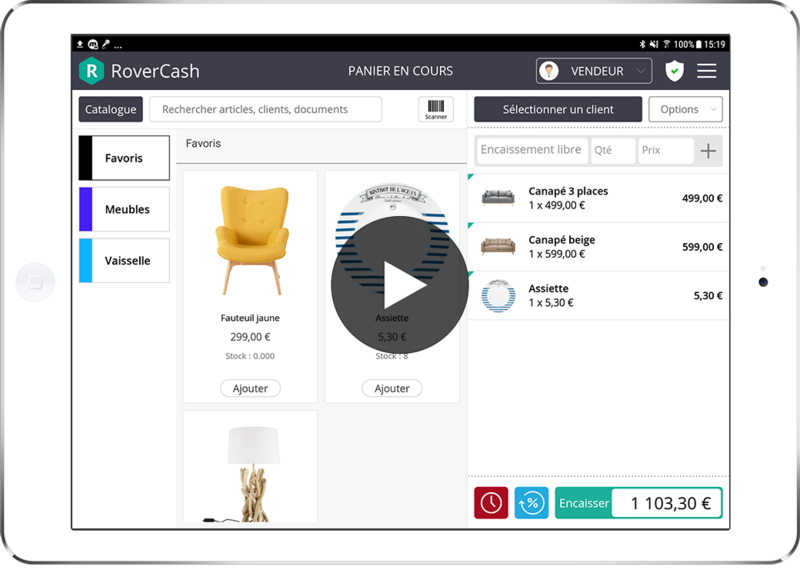 With RoverCash, adopt an innovative solution for your shop that integrates the essential functions to manage your activity. RoverCash is a POS system that’s adapted to all types of businesses. More flexible, quicker and simpler, the mobile payment solutions developed in partnership with well-known actors from the banking sector, connect to your RoverCash app. 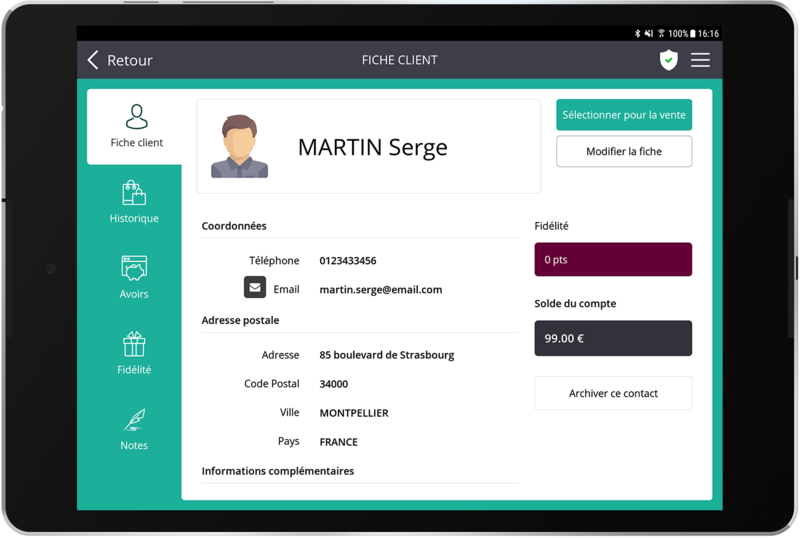 By choosing RoverCash, you’ve made a safe bet that’s developed by the company LUNDI MATIN that’s accumulated 10 years of experience in the publishing of management software and counts thousands of customers. All year long you can register to our courses as to further understand our solutions, attend our webinars on various subjects or look up our on line assistance (documentation, videos, etc.). 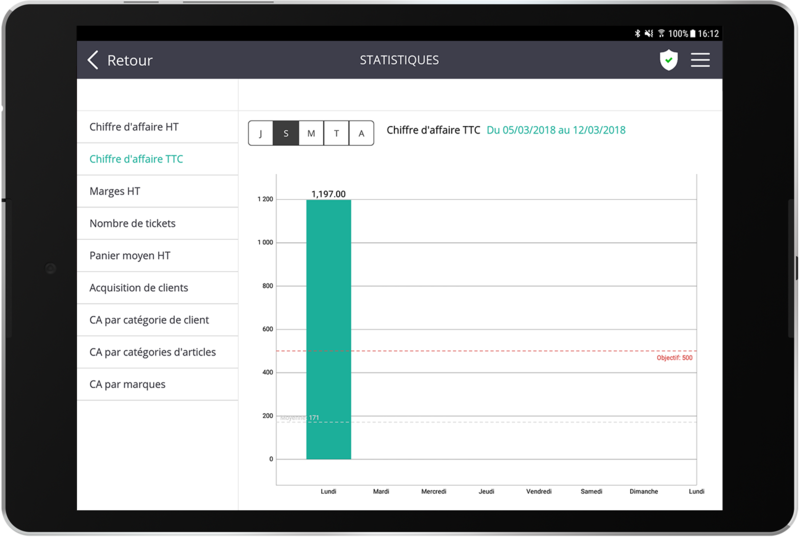 Based in Montpellier, our technical support team is at your disposal to help you with your first steps using our software or when you encounter difficulties using it.